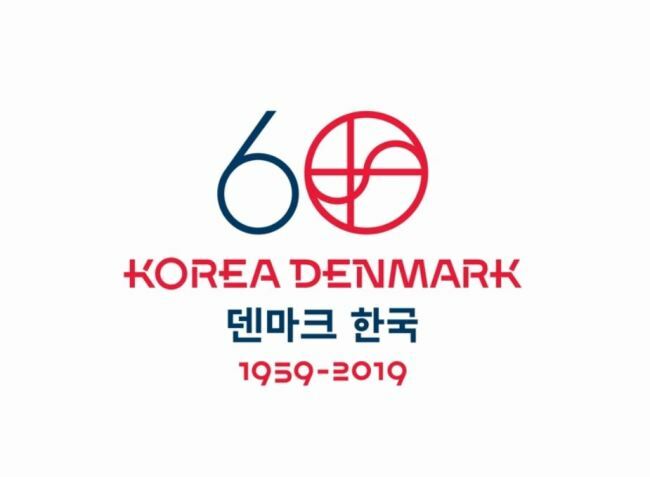 South Korea and Demark will initiate a yearlong special culture exchange program next week meant to commemorate the 60th anniversary of their diplomatic ties, Seoul's foreign ministry said Monday. The two sides agreed to designate 2019 as "the year of mutual culture" when President Moon Jae-in visited Denmark last October. A series of planned cultural events will begin with a performance by the Korean Symphony Orchestra in Copenhagen on Wednesday, according to the Ministry of Foreign Affairs. It plans to play songs composed by South Korean and Danish artists, marking the first time for a South Korean orchestra to perform in the Danish capital. The concert will be followed by various other culture exchange programs, including a Korea tour fair, a Nanta nonverbal performance, a taekwondo show, a kimchi festival and a film event. The two nations crafted a joint logo to publicize the campaign more effectively.